Your first instinct after a car accident may be to express your guilt or sadness over the fact that the collision happened. However, unless you are ready to admit that you’re liable for that crash, do not say anything to any other drivers or passengers. Instead, make sure that you and anyone else in your vehicle are not in need of medical care. The only thing that you need to do after an accident is stop and make a call to the police. Once the police arrive, you can make a statement as well as provide your vehicle insurance information. 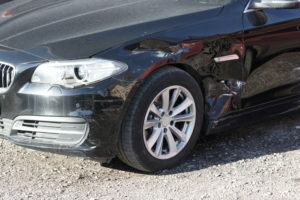 This information will be used to file an insurance claim and can also be used to confirm that your vehicle was in fact involved in an accident. Personal injury lawyers may be able to use that information to help represent their clients in court. Assuming that it is safe to do so, feel free to sit in your car until the police arrive. This can help to keep you safe from others who may try to guilt or intimidate you into admitting that you caused the crash. If there is a silver lining in such a situation, a judge or jury may not place much weight on any admission made under duress. If you are accused of causing an accident involving bodily injury, it may be possible to take the case to trial. At that time, you can testify on your own behalf and put your words into context. This may also provide an opportunity to connect with jurors and make yourself look more sympathetic.